Why are there duplicate files on my computer? - Ask Leo! Why are there duplicate files on my computer? Duplicate files on your computer can happen for many reasons, most of which are legitimate. Think twice about deleting duplicate files. Glary Utilities has a section called “Remove Duplicates”. I tried it and it does get stuck when one chooses “delete all checked files”. The question is: How come there are duplicate files on the computer? If one is working on a file and then saves it, it should go to the original file and not create a new one. An explanation would be very welcome. First let me say this: I strongly advise against blindly deleting duplicate files. Done incorrectly, you can quickly render your computer unbootable. Duplicate files happen for a number of reasons, and surprisingly, what you and I do isn’t at the top of the list of the most common causes. As I mentioned in a previous article, it’s not at all uncommon to have multiple copies – often identical copies – of files that are used by the software installed on your machine. This happens quite legitimately for a variety of reasons, which mostly boil down to programs not wanting to put themselves at risk due to the bad behaviors of other programs. A single copy of the library could be installed in a common location, so that both programs can use it. Each program installs its own copy of the library. The problem with the first approach is that program “A” could be uninstalled, or updated, and somehow change or remove the shared library. The net result is that program “B” could be broken. As a result, most programs now carry and install their own copy of many libraries and support files, so as to remain in control of their own destiny. Duplicate files on your hard drive result. Another common source of duplicate files on your computer is Windows itself. Many of the files that make up Windows have duplicate copies. In older versions of Windows, the original installation source was duplicated in a folder called “I386”. While that’s no longer the case with recent Windows versions (a hidden partition is now more commonly used), manufacturers and others still occasionally keep a duplicate copy of the operating system installation media on the hard disk. If you’ve updated Windows and have a Windows.old folder, the previous operating sytem copy will be there. These are sometimes considered duplicate files – at least in name – though there are often many files that actually don’t change from version to version and may qualify as true identical duplicates. I have multiple versions of some programs installed. Not all files changed between versions. This is often due to things like sample or other support files that simply don’t need to change version-to-version. Some applications update themselves by saving the previous version of the file being updated. That can often show up as a duplicate, depending on the type of duplicate search run. 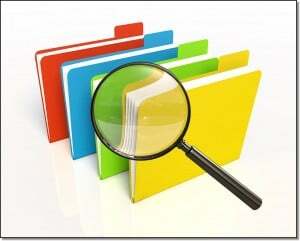 Some applications are organized such that their various sub-components include duplicate files. The system I use to keep track of all the files that make up my websites, videos, and more2 maintains a duplicate copy of every file under its control so that it can quickly detect changes locally. The takeaway here is simply that many applications install, manage, or maintain duplicate files for a variety of what turn out to be legitimate reasons. I didn’t find any files that were duplicate due to my own actions. That kind of surprised me, but not terribly much. You and I are typically pretty good at managing the files we control. As the questioner said, when saving a file in a program like a word processor, the original is overwritten, and no true duplicate would result. The same is true for most files we manage. One big and easy exception that does come to mind is downloading the same file twice. We’ve all done it, and the result is two copies of the same file in our Downloads folder with the same base name, possibly followed by a number in parentheses. Unless you really know what you’re doing, don’t. It’s simply not worth the risk. As we’ve seen, there are many legitimate reasons for duplicate files. Deleting those duplicate files at best will cause an application or two to misbehave, and at worst will delete a critical file out from underneath Windows itself, rendering it unbootable. If you must delete duplicates, limit yourself to those files you are 100% certain you recognize. For example, if you’ve been managing photographs or music on your PC, and suspect that as part of that you have lots of duplicates, then a duplicate file scan might be in order. Even then, I’d still think twice about turning over control to that program to perform the deletion. I’d be more tempted to use the information gleaned from the scan to guide my own, more deliberate, manual actions. 1: This is one use of the mysterious “WinSxS” folder in the Windows folder. 2: Subversion, for those so inclined. « Previous post: Would You Give Your Wallet to a Stranger? Thanks Leo, I have ran many a scan for duplicates. I was worried about why I had so many and confused about which ones to delete if any. This answers the question. I do have many photos and may need to check those files, but still concerned if that would be the right thing to do as I do change the sizes, shapes, etc. Any advice on the photos that I keep for crafting purposes as a small business would be appreciated. If you find duplicate photos, first make sure they are the same by looking at them. I might turn out in a rare case that your camera’s counter has reset and might be producing duplicate names. Also, if you edited a photo and placed it in a different folder with the same name, it’s not really a duplicate. You could determine that by date/time and size. Deciding which ones to keep would take some thought and it’s not easy to give advice on in a forun. About the only recommendation I can make is: always keep the originals as they are you raw material. My Windows 8.1 PC keeps giving me a message that I need to update my files. When I try to update my files I am sent to a program I have to buy. I have been told that these programs usually cause more problems than they fix. Should I use a program I have buy to update my windows files?Windows update says my files are up to date. Windows isn’t sending you those messages. Those pop-up are ads. If you are lucky, you will only lose the money you spent on the program. In many cases those programs contain malware. If it’s your PC that’s actually throwing that message out, then you already have malware of some form on it. Run up to date scans. HOWEVER, it’s possible that the messages are simply from the web sites you’re visiting – in which case I would ignore them (and probably stop visiting those sites). An issue I’ve run into repeatedly with duplicates is when an application has an .ini file associated with it that one needs to edit. What often happens in Windows 7 – 8 – 8.1 is that while the file in the installed directory is updated, the one that *actually controls* the environment for the program is not. This duplicate is typically found in C:\Users\*Username*\AppData\Local\Virtual Store\Program Files\*NameOfProgram*. The easiest resolution is to edit the .ini in the installed directory, then delete it’s corresponding file in the virtual store. All done with administrative privileges of course. The system will regenerate the duplicate in its edited form. I have 4 identical copies of My Documents on my PC using Windows 7. If I delete a folder from one, it disappears from all. And, if I save a folder to one of them, it appears on all. So of what use are they? Two in Libraries are labelled ”My Documents” and ”My Documents – Copy”. The other two are under my username and both are labelled ”My Documents” but with the second one ”access is denied”. Actually, you only have one copy of My Documents. The others are a kind of shortcut called Libraries Windows creates to make things easier. Unfortunately, in many cases, instead of being easier, they can get very confusing. Is there a program or method to tell whether a file is an exact duplicate? Most of the duplicate finders I’ve seen at least have an option to actually compare file contents – it just takes a lot longer as all the files have to be read completely. DuplicateFilesDeleter is the best way possible to remove the duplicate files. And clear your drives. It has very special algorithm that processes all data byte by byte. Try DuplicateFilesDeleter, is multi-threaded and performs scans quickly. I use Duplicate Files Deleter as it is very effective. It is 100% accurate and performs the scan quickly. Not always a good idea. Read the article to see why not. What happens when a computer duplicate itself?? What do you mean by a computer duplicating itself? I received an email from one of my employers with an attachment with WordPerfect macros in it, which I needed to load into my WordPerfect program file. Unfortunately, I misunderstood and put them in My Documents file. When I went in, after getting them where they were supposed to be, and tried to delete the original macros that were saved into my My Documents folder, they started duplicating and the more I deleted the more they duplicated. I’m now up to 231 copies of all 12 macros. How do I get rid of them??? Obviously, deleting is not the way, or either I’m doing something terribly wrong. Can anybody help me please????? I have just the same problem as described above ie about 5 Desktop folders, followed by identicle folders, including Documents etc ( all apparently duplicate files). I updated my Windows 7 to version 10 with a freeby on line. I suspect problems coincided with this, though not sure. I have BT internet and also use Aol. I am prone to downloading multiple copies of the same same thing eg sheet music, sound tracks, band posters etc. Then I shut down without deleting multiple copies of files-so I may have contributed. Having read the professional advice I am now scared of deleting anything but believe my only option is to employ a professional who knows what to do. My brother updates my PC periodically. Could this be a solution? I have an external seagate drive which acts as a mirror drive. Recently it had me update their software and after all the files in my computer were duplicated? How could this happen? What do I do to fix it? I have a Seagate Expansion Drive. How do I get it to ask me when I copy a duplicate file if I want to overwrite it or save it as a separate file. What is happening is that I am not getting prompted when a duplicate file is transferred from my computer to the external drive if I want to overwrite the file. I want the duplicate file to be overwritten. How do I get that to happen? If I click on “Compare information for both files”, I then get to choose which file to keep, or keep both adding a version number to one of the versions. If you’re not getting this choice, could it be that that the file you’re or moving doesn’t have exactly the same name? I depends on specifically how you are performing the copy.